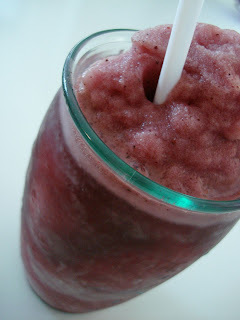 Its Getting Hot in here: I Love Smoothies!! Its hot. I'm still mad a t Starbucks. And Jamba Juice is about twenty blocks west in SoHo. What is a person to do? Lug out that blender and start blending your own healthy delicious smoothies of course! No, lets not do the boring banana strawberry or pineapple-mango smoothies...lets think of a few NEW EXCITING AND CREATIVE FLAVOR COMBOS!!!! 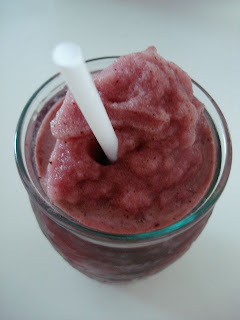 Todays smoothie is a lightweight--less fruit--more ice--more hydrating refreshment. 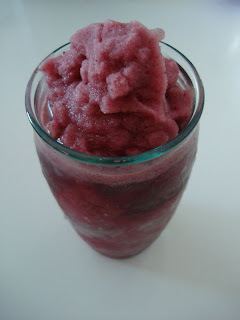 We're going to start out with a slushie-smoothie--and later this week, we'll build into the more heftier fruit smoothies. -refreshing and high in ANTIOXIDANTS!